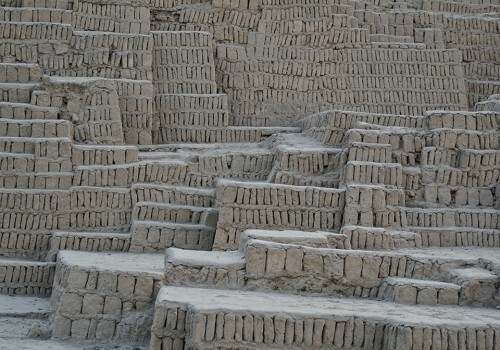 Lima was the city of entry for our journey to Peru. The airport and customs clearance was efficient with minimal waiting time. We overnighted at the very comfortable Ramada Costa del Sol Lima Airport Hotel before flying on to Cusco to begin our tremendous adventure. Cusco was the Inca capital and sits relatively high up in the Andes. Our guide, provided by our favourite tour company Abercrombie and Kent, suggested those born in Cusco actually grow up to have a lung capacity one third greater than those living at sea level. He also suggested locals encouraged visiting soccer teams to practise hard upon arrival just before playing local teams to ensure quick exhaustion from the lack of oxygen. 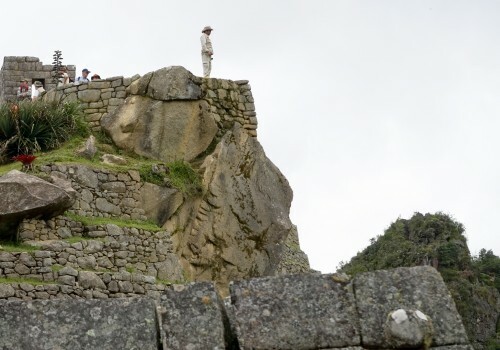 For tourists it’s an indication of what precautions they should take before going even higher to visit Machu Pichu. Upon arrival in Cusco we immediately headed into the nearby Sacred Valley, a very significant agricultural zone for the Incas. Along the way we stopped to visit a traditional weaving exhibition centre named Awanakancha where South American Camelids are bred. Llamas, alpacas, vicunas and guanacos are distant cousins of the much larger one and two-humped camels. 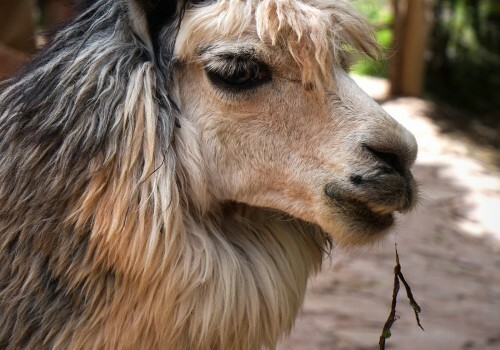 Llamas and alpacas are thought to have been domesticated as early as 4,000 BC. Here at the centre you actually get an opportunity to feed and pet them, plus learn how traditional weaving and dying developed. Upon holding alpaca wool we readily accepted it to be the softest wool there is. 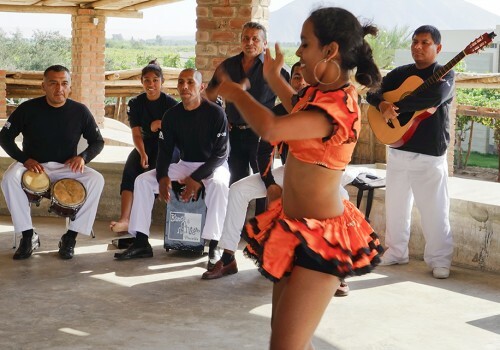 Arriving at the Rio Sagrado was a very pleasant surprise. We did not anticipate finding such a quality luxury retreat in the area we were driving through. This Belmond property is set on the banks of the rushing Urubamba River, and was built in natural materials to resemble an authentic Andean village. Of modest size with all the amenities, it provides a very comfortable environment. Dining is excellent. Our tour of the Sacred Valley included a stop in the market town of Chincero. 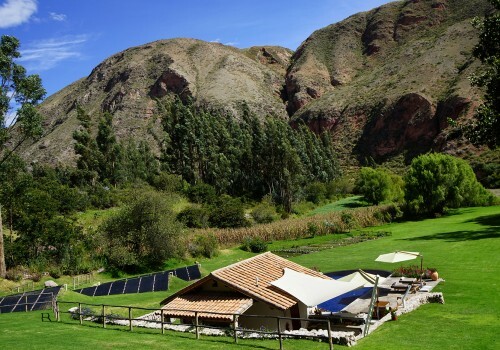 This village has a long history dating from the Inca Empire and boasts architecture dating from the colonial period including the frescos in the local church. The local market is very popular with barter still in practise. In addition, Andean weaver Nilda Callanaupa Alvarez leads a local women’s weaving collective. 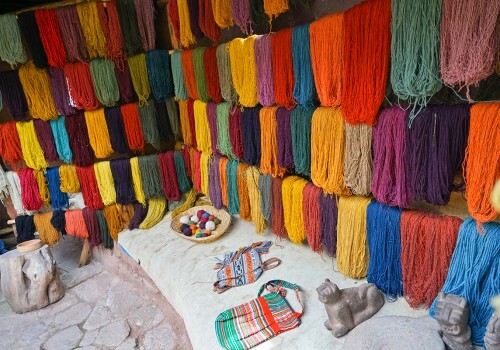 They welcome visitors with demonstrations on ancient weaving techniques that are in current practise. We continued on to the saltpans of Maras. Here are thousands of individual ancient salt mines which are simply small pools thickly coated with crystallized salt. They have existed in the same spot since Inca days and are still operable. Families pass them on and continue the backbreaking and poorly remunerated tradition of salt extraction, crystallizing salt from subterranean spring water. A typical mine might produce a ton of salt a year. Generally the families are farmers as well. The combined view of all these mines is quite extraordinary. From Maras we continued on to Moray and our introduction to the engineering skills of the Incas. 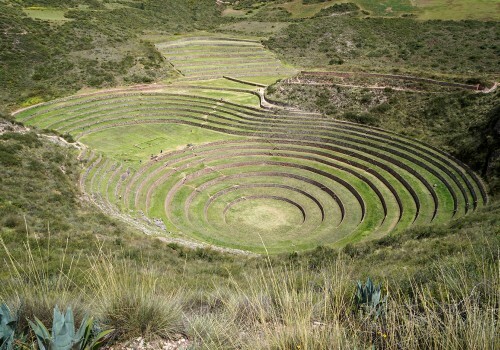 Moray was an agricultural experimentation centre for the Incas. It consists of many levels of concentric rings built from chiselled stone. Each level was used to try out different crop strains as the temperature varied significantly from one level to the next. At the top there is actually a wall built to hold back any landslides from the top of the mountain and still in perfect shape. Next day we boarded the Vistadome train at the Ollantaytambo railway station to continue the very scenic tour of the Sacred Valley to the town of Aguas Calientes. As can be guessed from the name the train features roof windows allowing excellent views of the peaks that surround the valley. Here we boarded a coach to drive a series of switchbacks up to the spectacular Machu Picchu. It is recognized as one of the Seven Wonders of the World but until you actually see it there is no way to appreciate how extraordinary it actually is. This complex engineering feat, built at height without the benefit of engineering diagrams or for that matter even mortar is simply mind-boggling. Why they chose to build it at this height and this remote area is part of the mystery. 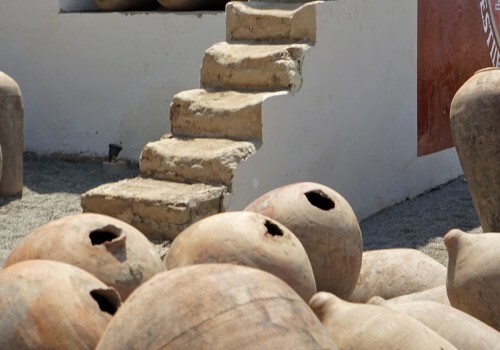 Wandering around the ancient citadel can be exhausting due the lack of oxygen. Be prepared. 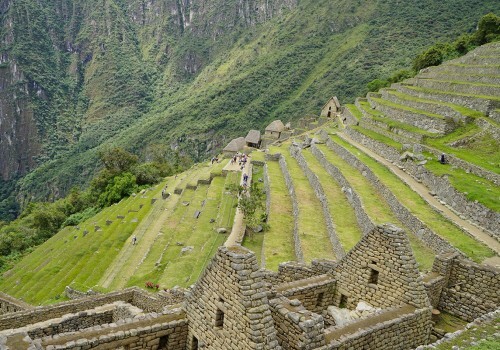 We also chose to hike up Huayna Picchu, the peak overlooking Machu Picchu. A limited number of visitors are allowed to make the very steep climb each day. Most move slowly with frequent stops to rest and breathe. But the opportunity to look down on Machu Pichu makes it entirely worthwhile. No words can really describe the experience of visiting this ancient wonder. 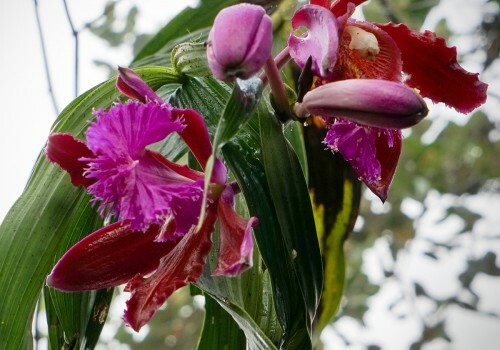 Our accommodation on the mountain was the very luxurious Inkaterra Machu Picchu. 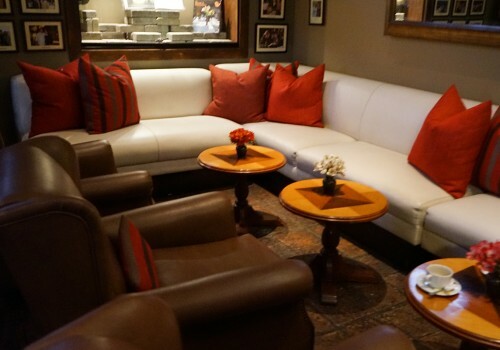 This 85-suite property offers excellent accommodations, amenities and service. The glass-walled restaurant offers views of the Vilcanota River and the Andes. 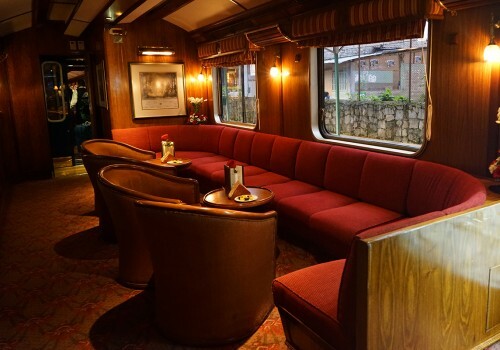 Our trip down the mountain was aboard the Hiram Bingham, a Belmond operated train. The train is comprised of just two cars. When boarding passengers are first shown into the dining car where orders are taken. While the meals are being prepared passengers are encouraged to move to the other car which houses a bar and a live band. Most of those we travelled with ended up dancing as we journeyed down the mountain. Followed by an excellent dining experience it was definitely a great ending for our trip. Returning to Cusco our accommodation was the Hotel Monasterio. 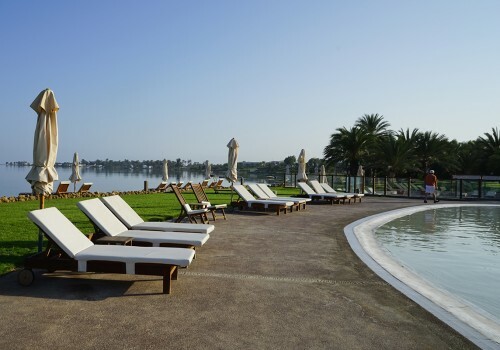 This Belmond property is situated right beside the central square and was originally a monastery built in 1592. 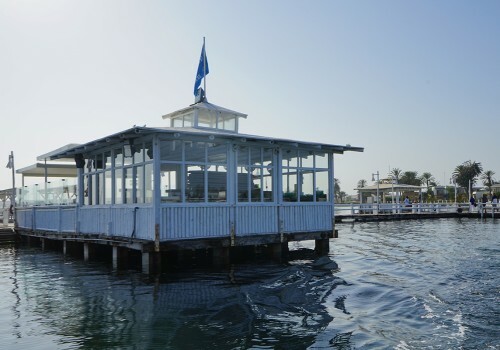 Of course the property boasts all the amenities one expects of a luxury brand but these are certainly well complemented with the history and structure. Cusco in the native Quechua language means ‘navel of the world’. 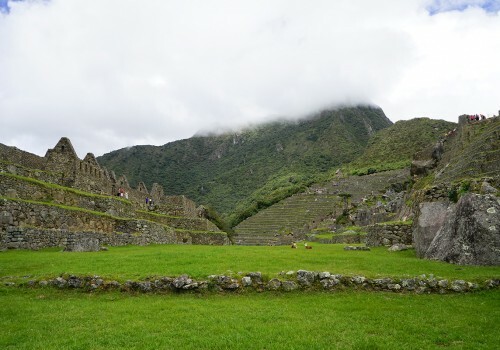 As the capital of the Inca Empire it sat at the centre of a network which extended to each of the regions that formed the ‘four parts of the world’. The city has a very interesting mix of Inca and colonial Spanish architecture. Just outside is the ruin of Sacsayhuaman another example of Incan architectural skills. As with Machu Picchu it was constructed with chiselled stone and no mortar and yet absolutely no space can be seen between the stones. 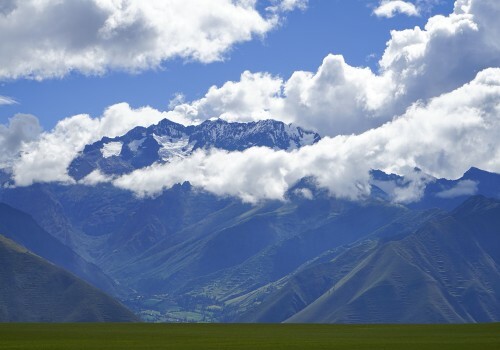 It is here where the greatest battle between the Incas and the Spanish took place. This trip was definitely the highlight of all the trips we’ve made.